During the planning meetings for the building of a School by the Albion church, it was resolved that at least six or seven thousand pounds should be spent on the project. The foundation stone for the building was laid on Good Friday 1861 by Hugh Mason, who at the time was Mayor of the Borough. Albion School was completed in 1862, and opened on Good Friday of the same year. 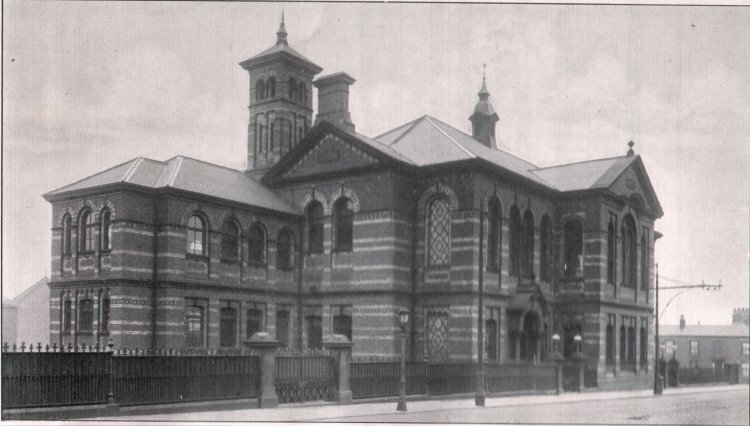 The eventual cost was £11,000, and at the time it was the largest Sunday School in England. The building included an assembly room that could seat 1,000 people, a lecture theatre, an infants' room and eleven classrooms. It opened as a day school in 1869 and celebrated it's jubilee in 1912 and the decision was taken to close it when the comprehensive schools were brought into existence. The building still stands in Ashton-under-Lyne, although it is now an office furniture warehouse.